Scholarships are available for these programs. Advanced doctoral students with demonstrated teaching experience may from time to time be invited to teach at one of the exchange universities while conducting dissertation research. In addition, students from The New School for Social Research frequently travel overseas for summer language programs and field research and during the year for research and study at other universities. 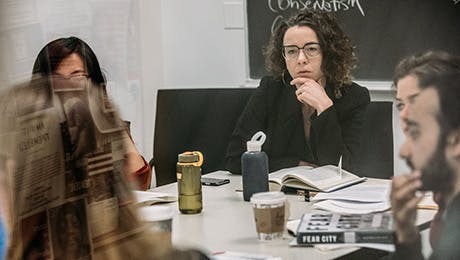 Students from The New School for Social Research may also participate in the summer and winter sessions in Krakow, Poland, and in Cape Town, South Africa, coordinated by the Transregional Center for Democratic Studies.